The sensor used in the RX100 V, for example, is a 1″ Exmor RS which allows for HDR capture in both photo and video modes. The new sensors announced are of the R variety “No video HDR” which could mean another variation of the sensor will debut with the RX100 VI. Considering the cameras are due for a refresh this year we expect Sony to up the ante when it comes to read-out data speeds and use their stacking technology. The Sony RX100 V which is one of our favorite budget slow motion cameras “See our best of 2016 post” was announced October 6th 2016. Which means we are about 3 months from an announcement. Of more interest to us is the announcement of the RX10 III replacement along with a possible RX10 II version as well. Those cameras are a little behind the RX100 V with less recording time in resolution priority mode even when they use the same sensor. What does change is the depth of the buffer which should be improved in the next camera iteration by allowing faster 4k and 1080p captures. We expect Sony to jump to 480fps 1080p or near that quality at some point in the next two years. Even when it is time-limited i.e. 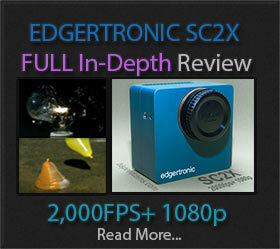 2-4 seconds a real 480fps full HD video clip will be sought after by slow motion enthusiasts. In the industrial application field, needs are increasing for faster products with higher pixel counts and for rolling shutter functions. To meet these needs, Sony Semiconductor Solutions Corporation has developed the “IMX183CLK-J/CQJ-J” CMOS image sensors equipped with an all-pixel global reset function. The image sensor uses a high sensitivity back-illuminated structure 2.4 µm square unit pixel, and we have developed both color (IMX183CQJ-J) and monochrome (IMX183CLK-J) products. The optical size is Type 1 to enable use of a C-mount lens. In addition, these products are equipped with a variety of functions such as 4K video mode and a vertical arbitrary cropping function. * Exmor R is a trademark of Sony Corporation. The Exmor R is a Sony’s CMOS image sensor with significantly enhanced imaging characteristics including sensitivity and low noise by changing fundamental structure of Exmor™ pixel adopted column parallel A/D converter to back-illuminated type. High-resolution 12-bit digital output of the signals for 20.48M pixels (aspect ratio 3:2) realizes high-speed readout at 21.98 frame/s. This image sensor enables even higher resolution imaging of finer objects at high frame rates in excess of 20 frame/s, while still maintaining high picture quality. 10-bit digital output of the signals for approx. 9.03M-effective pixels (aspect ratio approx. 17:9) realizes high-speed output at 59.94 frame/s and also enables video imaging. The IMX183CQJ-J/CLK-J series supports various readout modes including the above-noted high-resolution 12-bit all-pixel output, 10-bit all-pixel output that enables even faster readout, and high-speed 4K video output, as well as vertical arbitrary cropping output mode (cropping size restrictions apply) and a high-speed readout mode that uses the binning function (Table 3). The IMX183CQJ-J/CLK-J series uses a high-sensitivity back-illuminated structure 2.4 µm square unit pixel with a proven record in the IMX178LLJ/LQJ*1 (for security camera and industrial applications). *1: For details on the IMX178LQJ series, see the New Product information released in September 2013. *If the mouse cursor changes over the photo, you can click to see the larger version in a new window. *1 Sensor slave mode only. *1 These modes can be used together with the global reset shutter function. *2 In vertical arbitrary cropping area from type 1 approx. 20.48M pixels (3:2) all-pixel scan area is readout with 10-bit output. *Sony Semiconductor Solutions Corporation reserves the right to change products and specifications without prior notice. This product is designed for consumer use applications, so the quality and reliability of the product are also the consumer use application range. This quality and reliability range should be kept in mind when using this product for other than consumer use applications. The IMX183CQJ-J/CLK-J 20.48M-pixel CMOS image sensors have been newly developed for customers desiring image sensors with multi pixel for industrial applications. We developed both a color product (IMX183CQJ-J) and a monochrome product (IMX183CLK-J), and hope that customers will consider adopting these products for various applications. Previous PostSony a9 Slow Motion Samples!Next PostChronos 1.4 Mods Make Improvements! This is very exciting news! 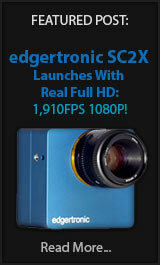 A few seconds 480 fps and hopefully 2-3 minutes 240 fps at HD resolution is really something I am looking forward to. Cant wait for the announcements. In a few years time, 4k 120fps and 4k 240fps will be the norm with 1080p 960fps being a side effect of the need for faster frame rates at higher resolutions. It will be a great future for frame rates for sure.